The registrant is a well-known seasoned issuer, as defined in Rule 405 of the Securities Act. 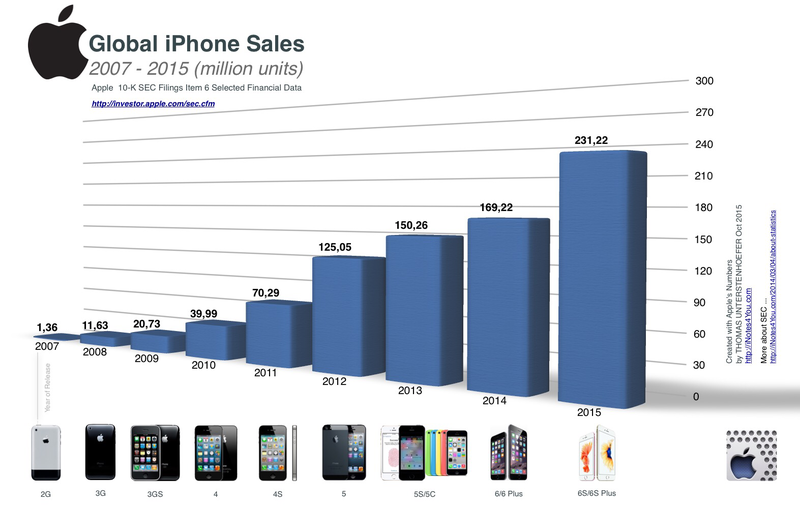 Apple’s SEC filing for the fiscal year 2015 shows that 66% of the net sales are generated by the iPhone, an increase of 52% compared to 2014. Thanks for reporting, Luca. Apple’s brand is just overwhelming here. It’s not about specifications. It’s not about rationale. It’s about owning an iPhone. In Apple’s SEC 10-K filings (Annual financial statement) you will find the most important numbers, the unit sales of the iPhone. This device still is the product that boosts the company’s success.